← From Where to Infinity? This is an award. This is also an amazing object. This is the prototype. 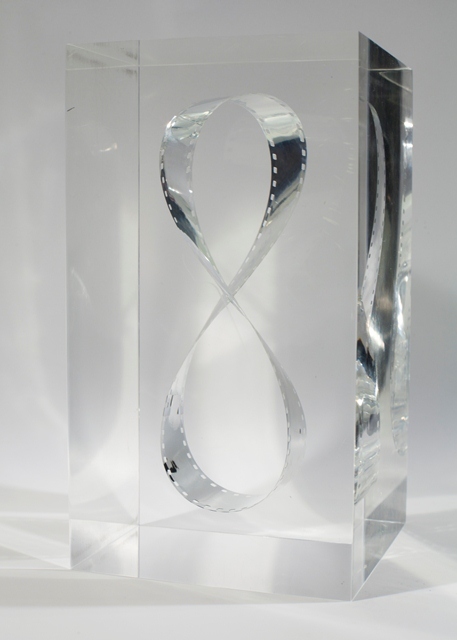 This is the actual prototype of the International Center of Photography Infinity Award. The ICP Infinity Awards began in 1985 and the idea for the award program came from Bob Brockway – Robert E. Brockway, Olympus Corporation – who was the Chairman of the ICP President´s Council at that time; he felt ICP had established itself sufficiently for the awards to have meaning for the community. Cornell Capa took to the idea and set up the format, and Anna Winand took on the nominating/judging process, Ann Doherty headed the team for the organizing of the event. 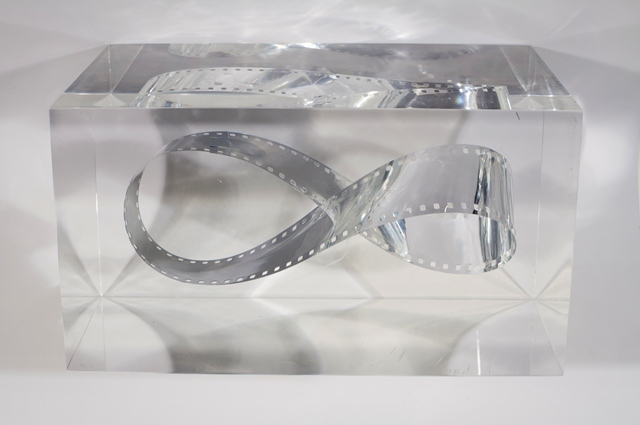 The Infinity Award was set up to be an important event for the photographic community and as a way of acknowledging outstanding contributions to that world. It is widely recognized as THE award as far as many photographers are concerned. 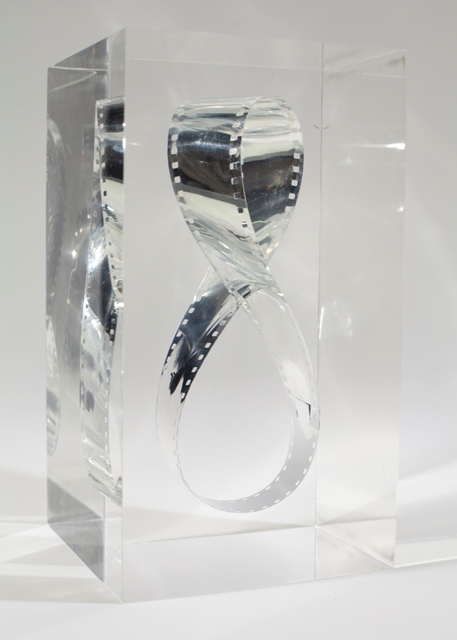 The actual Infinity Award artifact was designed by Louis Dorfsman, Vice President and Creative Director for CBS Inc., who was a member of the ICP President’s Council. It is a representation of the infinity symbol (a symbol which is a variation of the mobius strip). 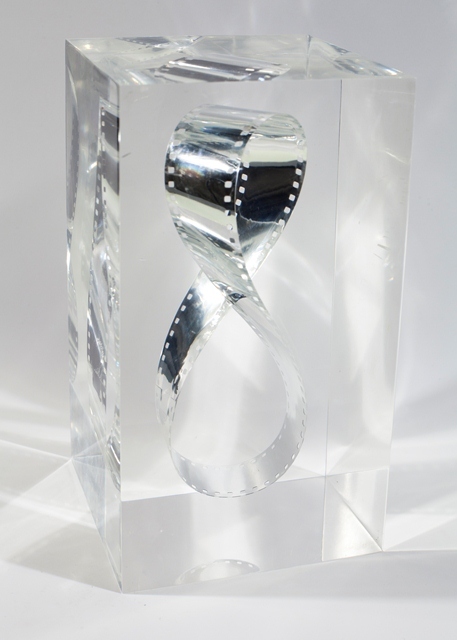 The infinity symbol is made of a light metal simulating sprocketed 35 mm film which has been embedded within the lucite of the award. The infinity sign was chosen as one indigenous to photography because of its appearance on every camera lens and that the possibilities of the photographic medium are also virtually infinite. 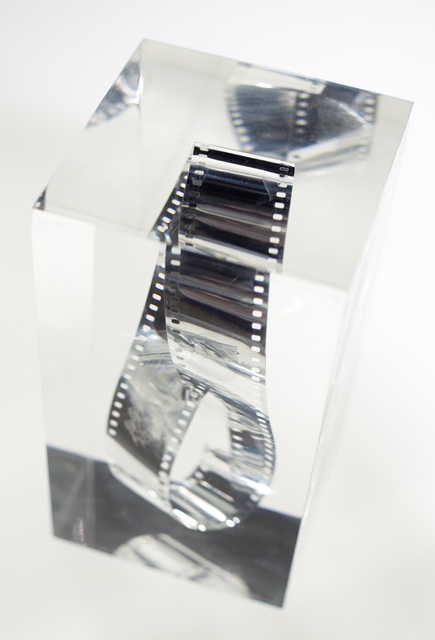 The awards were inscribed to the recipient – the winner of the award – however this one being the prototype is simply blank. On closer inspection of this prototype one can see the piece of tape that joins the strip together. This entry was posted in Events, International, Unpacking the collection, Visual Research and tagged Ann Doherty, Anna Winand, Cornell Capa, ICP President´s Council, Infinity Award, infinity symbol, International Center of Photography, International Center of Photography Infinity Award, Louis Dorfsman, Mirapaul Foundation, mobius strip, Robert E. Brockway. Bookmark the permalink. ..that is as well a beautiful photo representation of the object!